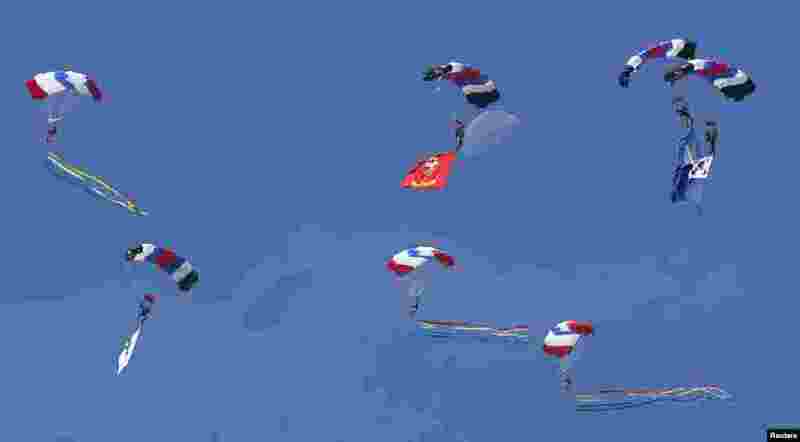 ۱ The moon is pictured as members of the Special Warfare Command parachute during a rehearsal for the upcoming anniversary of the Armed Forces Day at a military airport in Seongnam, south of Seoul, South Korea. 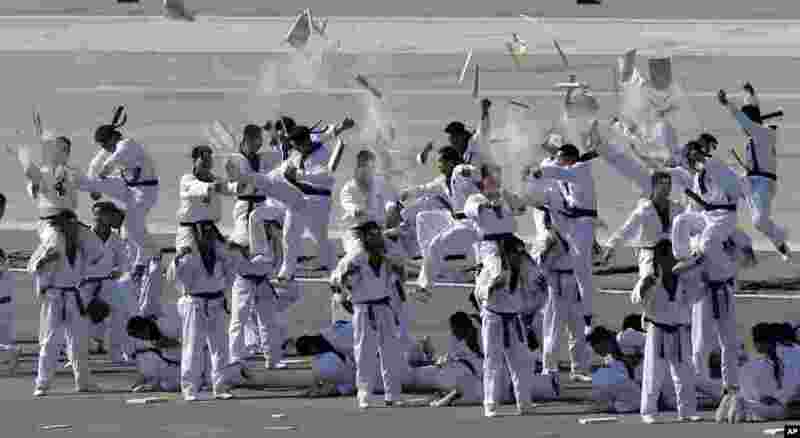 ۲ South Korean Special Army soldiers demonstrate their taekwondo martial art skills during the media day for the 65th anniversary of Armed Forces Day at Seoul military airport in Seongnam. 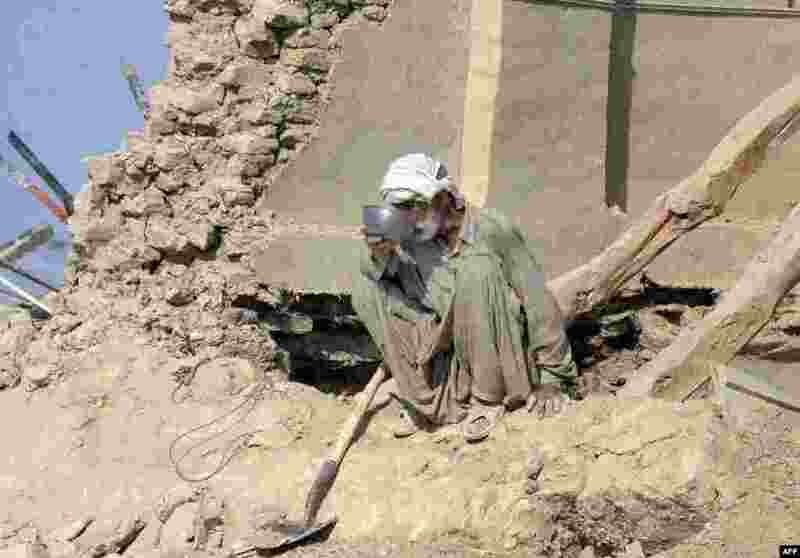 ۳ A Pakistani earthquake survivor drinks water at his collapsed mud house in the Dhall Bedi Peerander area of the earthquake-devastated district of Awaran. Tens of thousands of survivors of earthquake waited for help in soaring temperatures as the death toll rose to nearly 350. 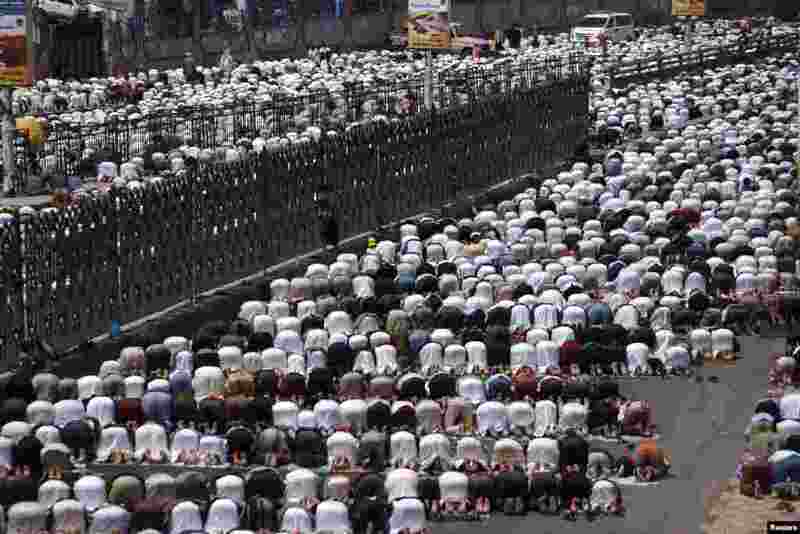 ۴ Protesters opposing Yemen's former President Ali Abdullah Saleh perform the weekly Friday prayers during a rally to demand that he be put on trial, in Sana'a. 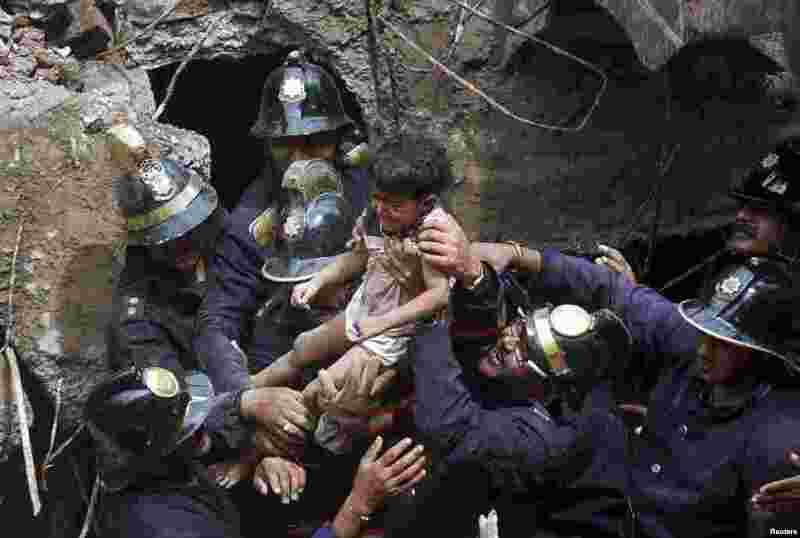 ۵ Rescue workers carry a girl who was rescued from the rubble at the site of a collapsed residential building in Mumbai, India. The five-story apartment block collapsed in the financial center, killing at least eight people and trapping scores in the latest accident. 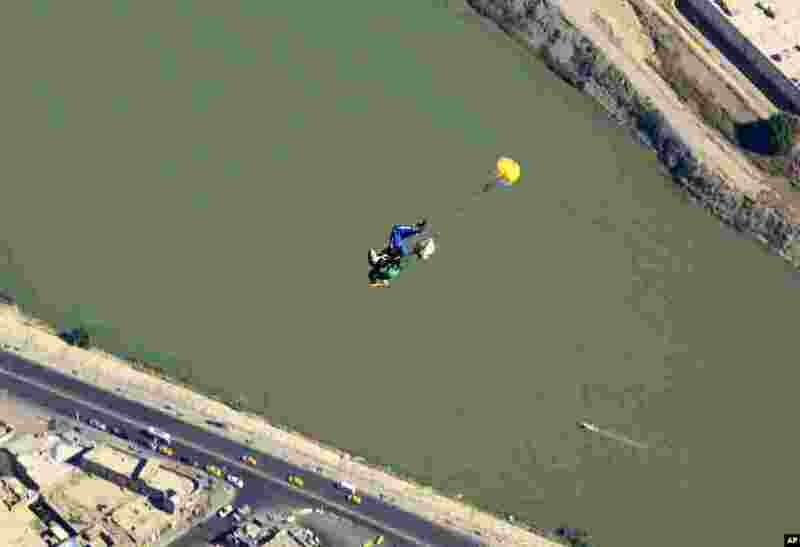 ۶ With the Tigris River beneath him, a member of Iraq's national skydiving national team parachutes over the capital during a training session in Baghdad, Friday, Sept. 27, 2013. 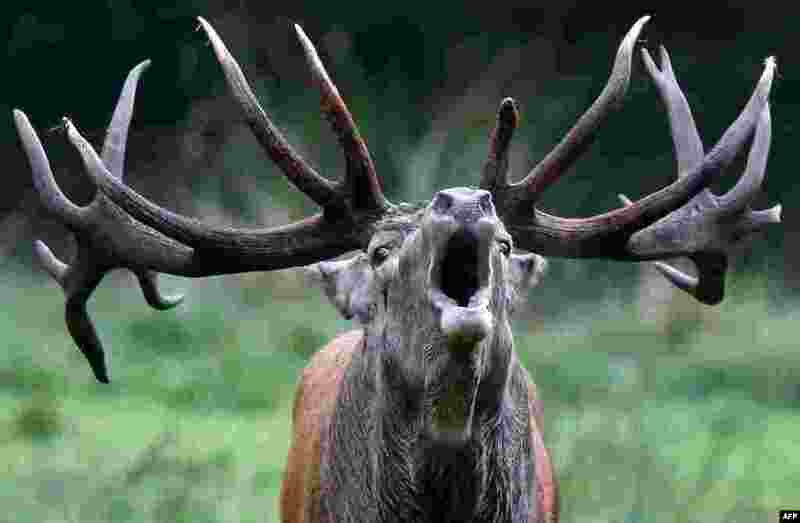 ۷ A stag roars in its enclosure at Wildpark Eekholt in Grossenaspe, Germany, as the mating season for deer has begun. ۸ A man is tattooed by tattoo artist Brent McCown (L) during the ninth London Tattoo Convention.